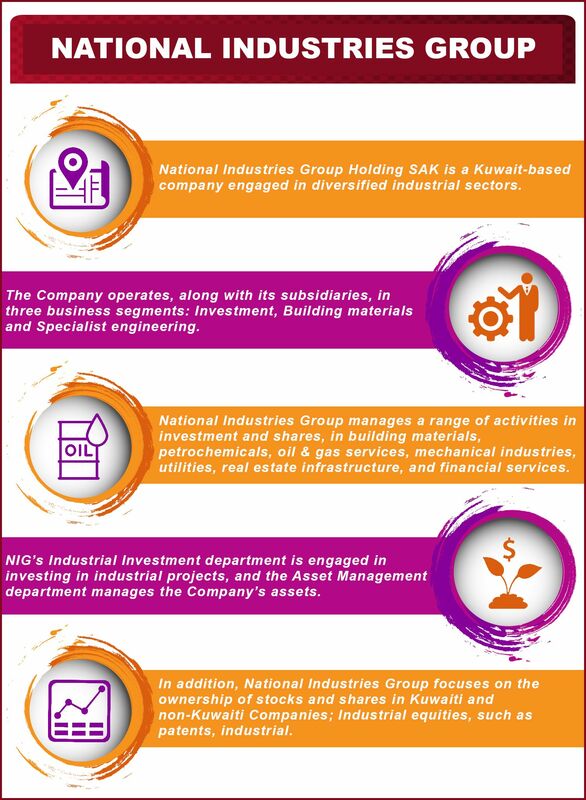 The National Industries Group, through its expertise and dedication, is a Kuwaiti corporate success story. The National Industries Group started its corporate life as a construction material manufacturing company, before growing steadily over the years to become the major multi-national conglomerate we see today. Through the company’s unwavering commitment, diligent work and exceptional capabilities, the National Industries Group manages a diverse range of activities in a wide range of industries. The company now serves the energy industry and has interests in manufacturing, real estate and the financial services sector. The National Industries Group’s Board of Directors includes Abdul Aziz Ibrahim Abdulaziz Al-Rabiaah, Salah Khaled Al Fulaji, Ali Murad Yousef Behbehani, Maha Khaled Saleh Al-Ghoneim and Fahad Al-Rajaan. To read more about the National Industries Group, visit the Fahad Al-Rajaan Wikipedia page. The National Industries Group Chief Executive Officer is Mr Ahmed Mohammed Hassan Hussein. Ahmed Mohammed Hassan Hussein has been the National Industries Group’s Finance Manager since 1982. Throughout his career, Mr Hussein has overseen the financial management of the company, promoting consistent profitability and growth. Having held several prominent positions prior to his role with the National Industries Group, Mr Hussein’s former roles include Financial Manager with Kuwait Asbestos Industries as well as Partner and Audit Manager with Adel Al Ghanim and Partners. Mr Hussein presides over several boards, including Proclad Group Ltd, BI Group, and Strageia Investment Company. The Group’s Vice Chief Executive Officer is Reyadh S. Ali Al Edrissi, who is in charge of investments and mega projects. Mr Al-Edressi has been with the National Industries Group since 2006.